Christmas is set to be a busy month, and not just for present wrapping and card writing. We’ve constructed a look ahead to what December has to offer at the Cinema, and highlighted our top picks for the festive season. Let us know in the comments box below what you’re looking forward to the most! The Hobbit: The Desolation of Smaug hits cinemas on the 13th December and noticeably has the weekend all to itself. The competition knows it’s a film that can’t be rivalled on its opening weekend, and it’s set to be released in 2D and 3D. Perhaps with Gravity pushing audiences towards 3D tickets during November, The Desolation of Smaug will continue its success with 3D. Anchorman 2: The Legend Continues is also set to light up the box office and with the first teaser trailer being released back in May 2012 audiences are eager to see what Will Ferrell and the gang can come up with. It may come as a shock to know the original film, Anchorman: The Legend of Ron Burgundy, didn’t do amazingly well at the box office, being beaten by such comedies as Along Came Polly, 50 First Dates and The Spongebob Squarepants Movie. But due to impressive DVD sales and a loyal fan base, it’s been recognised as a cult favourite setting the sequel up for a strong box office opening weekend on the 18th December. Frozen is the Christmas seasons staple animated kids film and follows two good looking adventurers and a snowman on a quest to end an eternal winter. It’s from the creators of Wreck-It Ralph and Tangled and if the trailer is anything to go by it’s set to be one of those films that the whole family can enjoy. We’re expecting this to do very well on its 6th December release date, but Frozen will probably fall out of the box office chart directly after Christmas for obvious reasons. Action film Getaway stars Ethan Hawke and Selena Gomez and has an interesting premise: they’re forced to do jobs for a kidnapper while driving an expensive car. Hawke’s previous successes have been Training Day, The Dead Poet’s Society and The Purge, but neither have done too well at the box office. His most recent action flick was Assault on Precinct 13 that bombed, so it’s hard to predict how well The Getaway will do. However, Hawke’s career is diverse, and it would be great to see a top rated actor finally break into blockbuster territory. On the other hand, we’re not too sure of 47 Ronin. It has all the required explosions, armies and combat to make it an adrenaline fuelled blockbuster but with Keanu Reeves once again playing a saviour it may be hard for audiences to swallow. 2012’s The Woman in Black did good figures at the box office due largely to the Daniel Radcliffe’s taking of the lead role. 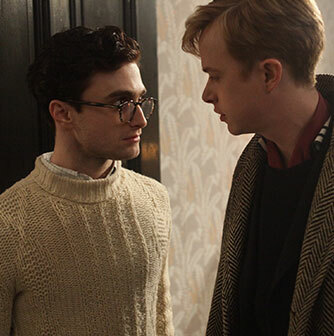 We’re expecting small-scale film, Kill Your Darlings, which revolves around a murder and Beat generation poets, to also do well due to the Harry Potter star’s involvement. Dane DeHaan acts alongside Radcliffe in Kill Your Darlings and is an actor to watch out for after giving great performances in recent films Chronicle and The Place Beyond the Pines. We’re hoping his part against Radcliffe will launch him into the spotlight. The 2003 South Korean Oldeuboi (or Oldboy in English) is set to get a remake by none other than Spike Lee. The original film was a fantastically gory psychological thriller and with Josh Brolin starring, Lee seems to mean business. If you’re not into foreign movies this could be your chance to get to grips with one of the very best without actually seeing it. If you’ve watched the original this may be worth a watch just to see how the Americans do things differently. American Hustle is set to be the default impressive ensemble film of December, with Christian Bale, Amy Adams, Bradley Cooper, Jennifer Lawrence, Robert De Niro and Jeremy Renner all starring. Set to be a crime drama, it sees Bale gain weight again and be a little larger, but it’s director and writer David O’Russell, who brought us Silver Linings Playbook in 2012, that sets this film apart and gives it real promise.